There is possibility that you might never have to plug a charger cable into your iPhone again. Foxconn, the Chinese manufacturing company that builds electronics including the Apple iPhone, is reportedly testing wireless charging modules that might feature in next year's iPhone 8, according to a report from the Nikkei Asian Review. Whether the iPhone 8 actually gets wireless charging will depend on the yield rates of the modules, a source told the Nikkei. Poor yield rates could push Apple to scrap the feature. 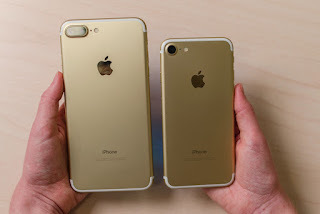 Prior to the iPhone 6 and 6 Plus launch, the company was widely expected to use new displays made out of more scratch-resistant sapphire glass. But poor yield rates from sapphire glass producer GT Advanced Technologies forced Apple to ditch it for "ion-strengthened" glass. And prior to the iPhone 7 launch, there were various leaks showing an iPhone 7 Plus model with a smart connector (much like the one on the iPad Pros) on the backside. Of course, that model never materialized. Poor yield rates could push Apple to scrap the feature. Low yield rates could also corner Apple into including the feature only on a high-end model, much like the dual cameras on the iPhone 7 Plus. It's also not the first time we've heard of the iPhone 8 getting wireless charging. Back in January, a Bloomberg report claimed Apple was working on true wireless charging technology that works over a distance. Meaning an iPhone wouldn't need to be placed on a charging pad, which is then plugged into an outlet. It's not a completely far-fetched idea. Apple already has a few patents for such wireless charging tech, although implementation is challenging. And the Apple Watch already has wireless charging, although it works via MagSafe and not over a distance. Adding wireless charging would also appease users who lament the removal of the headphone jack as they'd be able to wirelessly charge and plug in Lightning headphones at the same time. Furthermore, wireless charging would resolve the whole "iPhone 7's included Lightning cable doesn't work with the new MacBook Pros" issue that's been irritating some customers. Next year's iPhone marks the 10th anniversary of the iPhone, and Apple is reportedly planning a major overhaul. The iPhone 8 is expected to have a refreshed design that might lose the bezels, integrate the Touch ID sensor underneath the screen, and sport an OLED display.